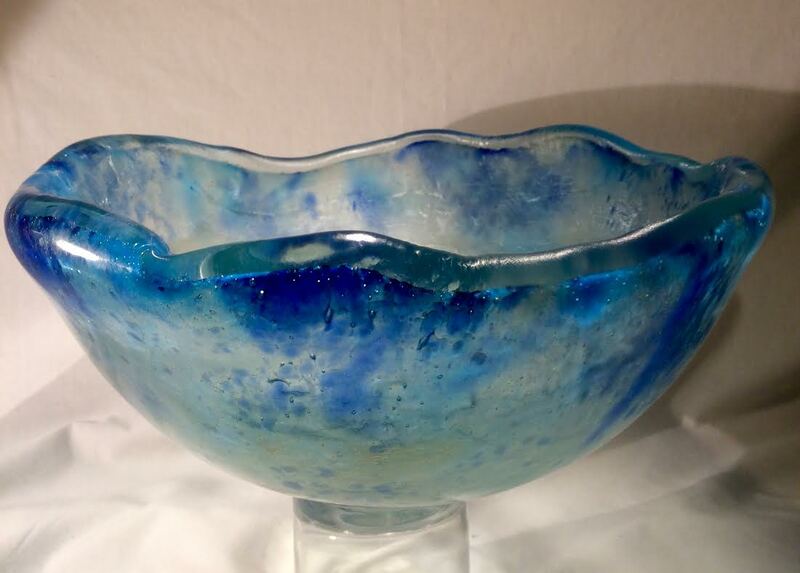 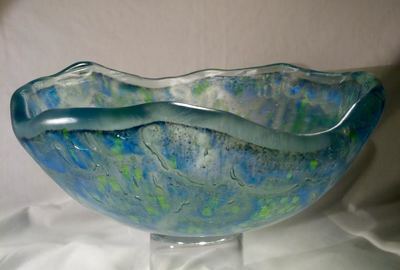 I make bowls randomly with varying looks and sizes. Contact to see what I have in stock, or my ETSY site may have some listed as well. 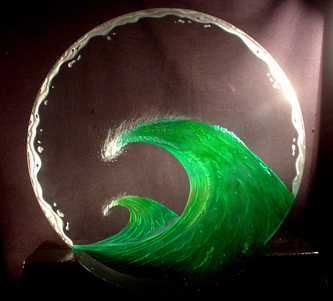 24" circle with sandcarved and airbrushed waves images. Detailed, soft spray and flow with the paint. 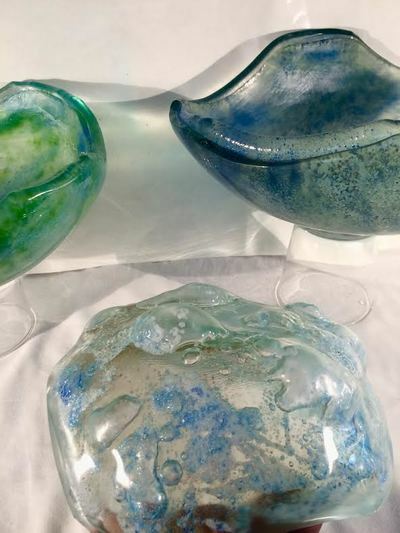 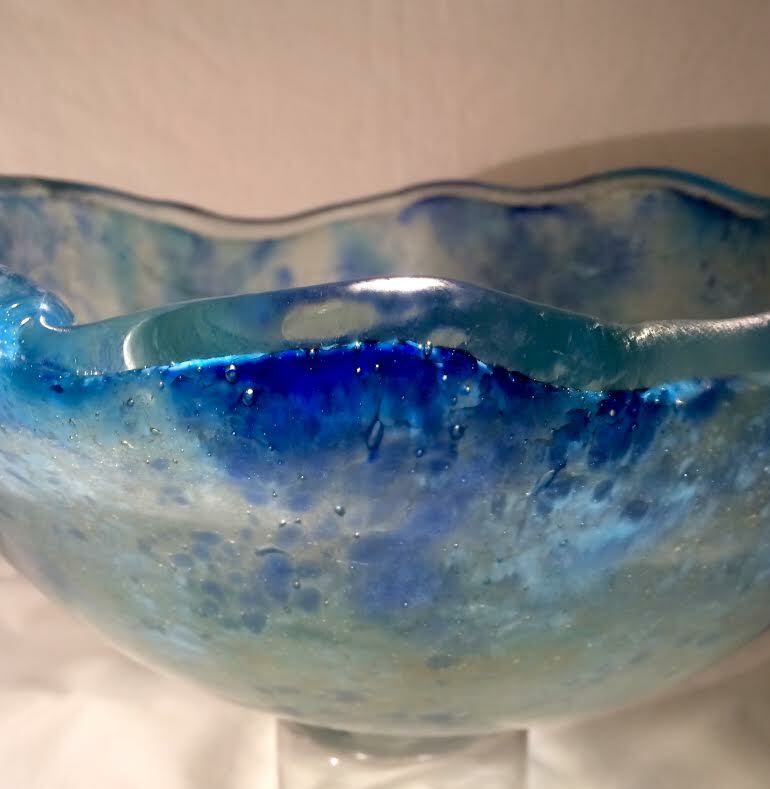 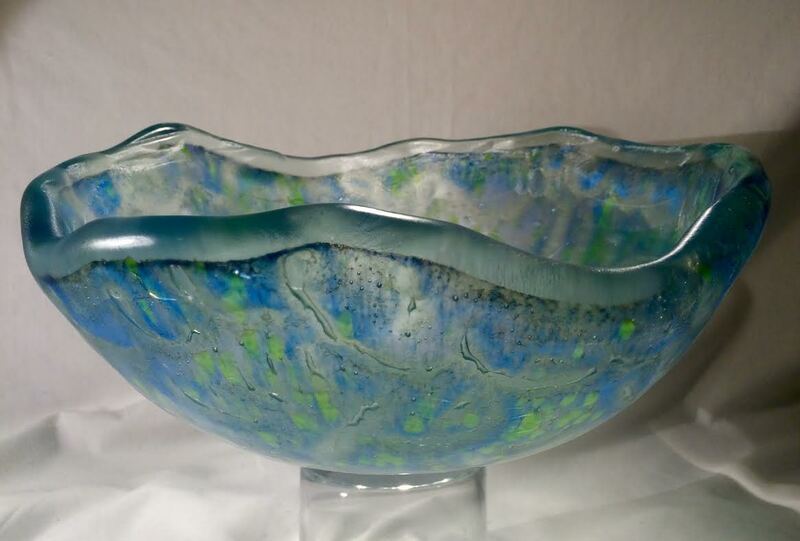 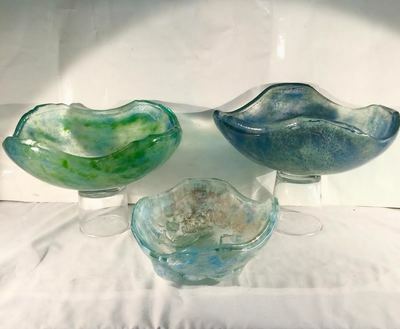 Similar pieces have been made in smaller and larger versions, using different glass shapes, to hang from a window or set in a base. 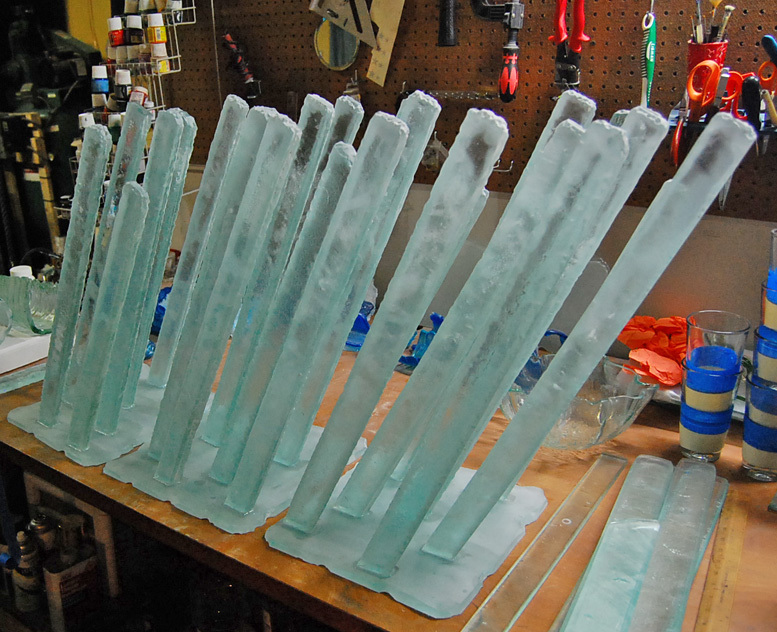 I was asked if I could create glass sculptures to mimic the ice inside Superman's "Fortress of Solitude". I sure, "sure! 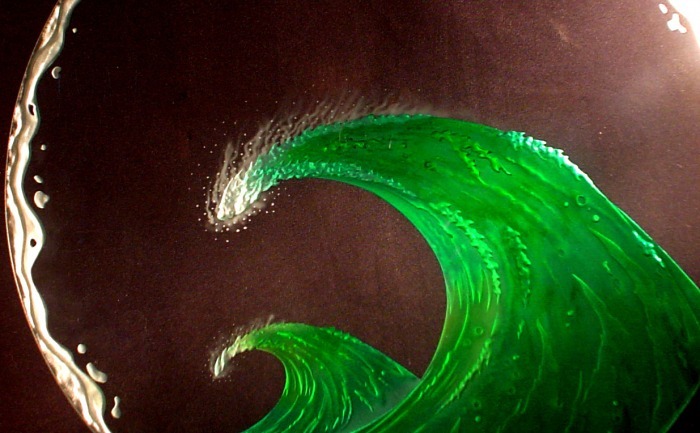 Why not?" 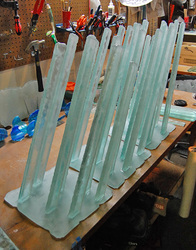 Fused glass to make thick rods, then sandblasted and attached to a glass base are used to decorate what I can only guess is a large aquarium. 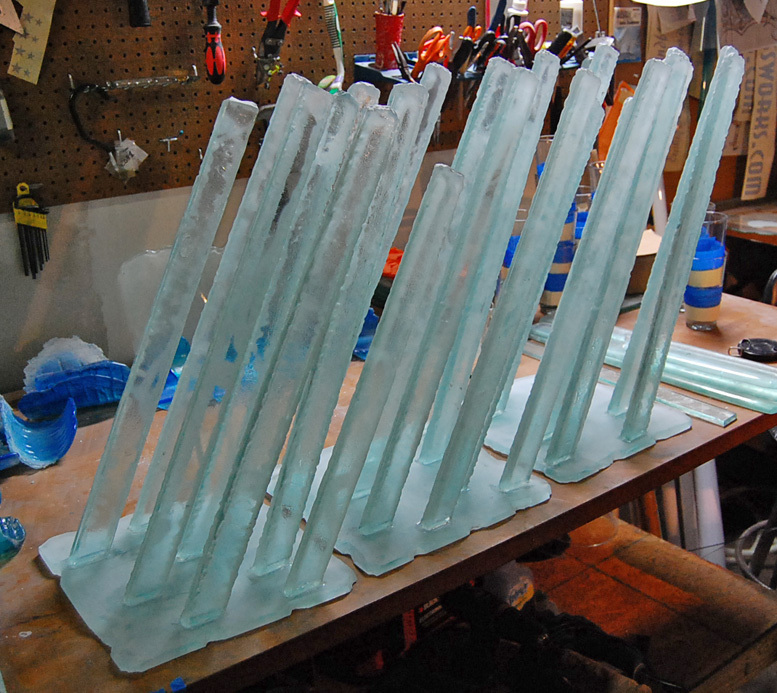 Working on new sculptures using hand made glass bricks...thick, heavy and lots of dramatic carving! 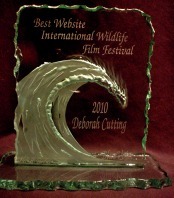 Occasionally I'm asked to create a unique awards piece. 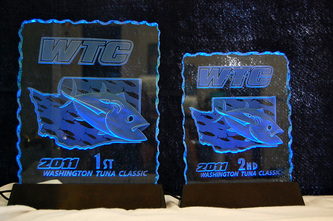 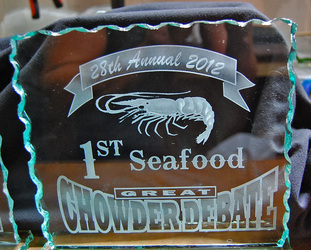 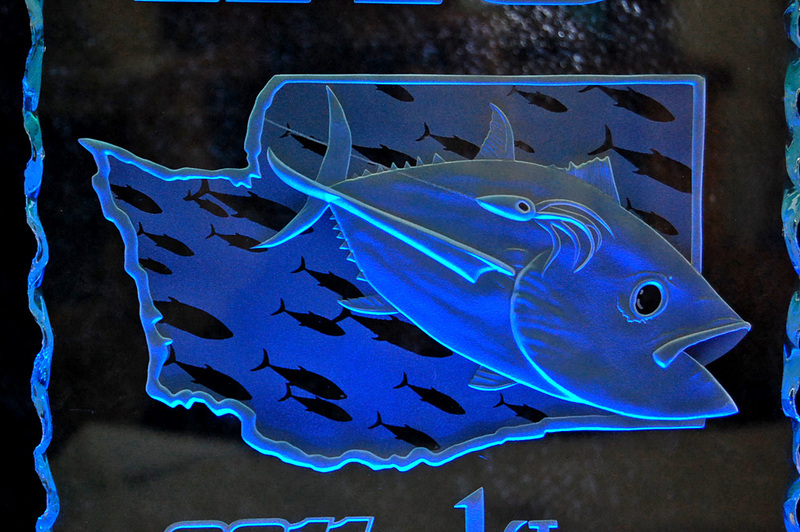 Carved/etched glass awards for fishing tournament.